1) Finely chop the beef tenderloin. Cut it into thin slices, then cut the slices into strips, and chop the strips. Chill the finely chopped tenderloin. 2) In a bowl, mash up the anchovy fillets with the capers. 3) Add the Worcestershire sauce, the mustard, the lemon juice, Sriracha (to taste), and the egg yolk. Mix and combine. 4) Add in the olive oil until well blended. 5) Mix in the lemon juice. 6) Mix in the cornichon. 7) Start to blend the a subset mixture into the chopped beef tenderloin and keep adding the mixture until the tartare is moist and coated, but not sloppy and runny. 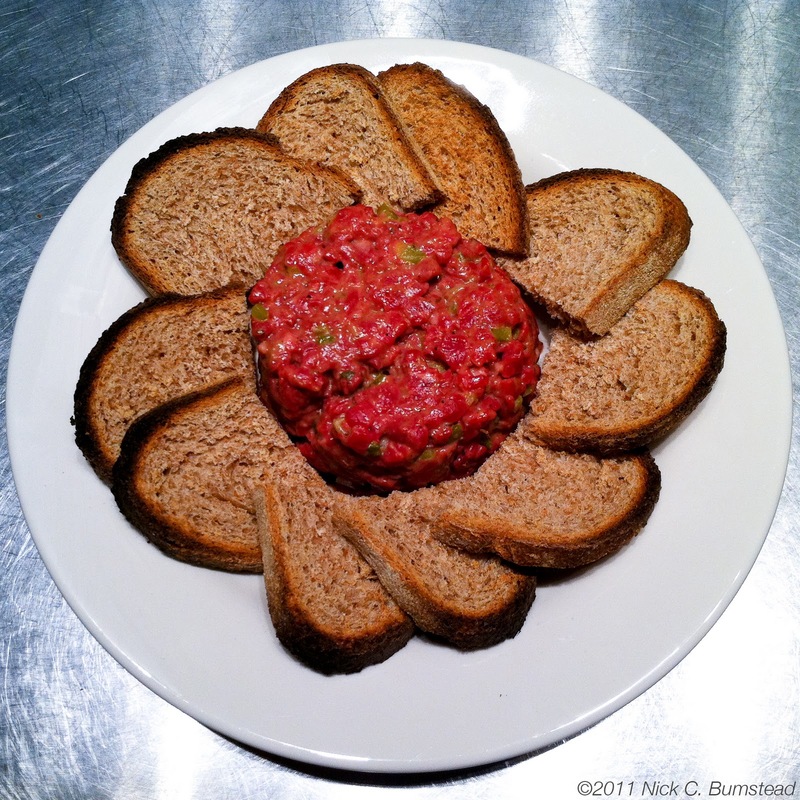 8) Serve with toasted bread. In an attempt to be a little more healthy, I created some Asian style lettuce wraps for lunch. 1. In a small bowl, combine soy sauce, peanut sauce, sambal, and lime juice. 2. Defrost the two patties, then finally chop and mix together. 3. In a saute pan, saute red onion for a couple of minutes in olive oil over medium heat. 4. Add the chopped up patties, season with salt and pepper, and saute until warmed through. 5. Add half of the sauce to the pan, stir in, and serve in a bowl. The mixture should not be saucy at all, but moist and crumbly. 6. 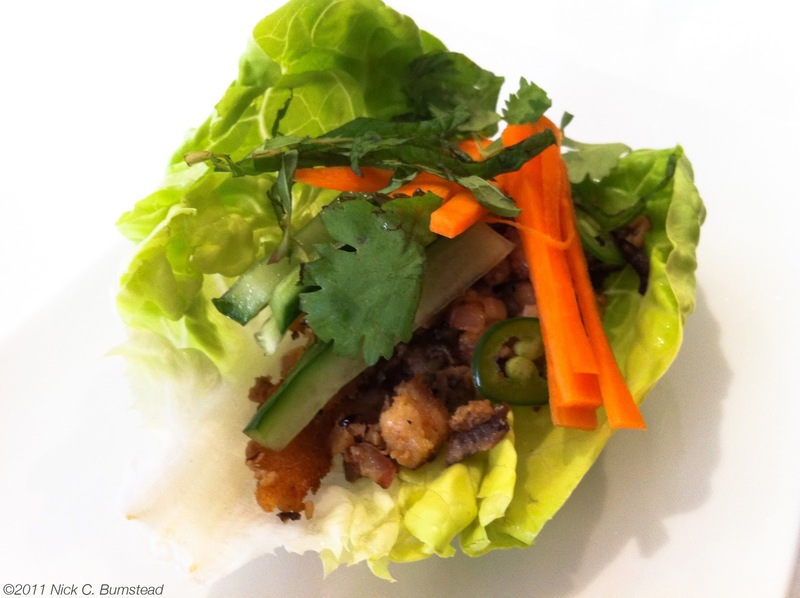 Make individual lettuce wraps with "meat" mixture and condiments to taste.